Want a quick way to fall in love with your home all over again? Remodeling is the key! Simple updates to your home décor and appliances go a long way in transforming your living space from being a house to a home. One thing that usually worries people when remodeling, however, is the cost. It can be difficult to find the perfect balance. It’s important to get the best bang for your buck! The Appliances Remodeling Sales Event at Best Buy provides the perfect solution. At the Best Buy Appliances Remodeling Sales Event, you can find the best deals of the season on top brands like Samsung appliances. 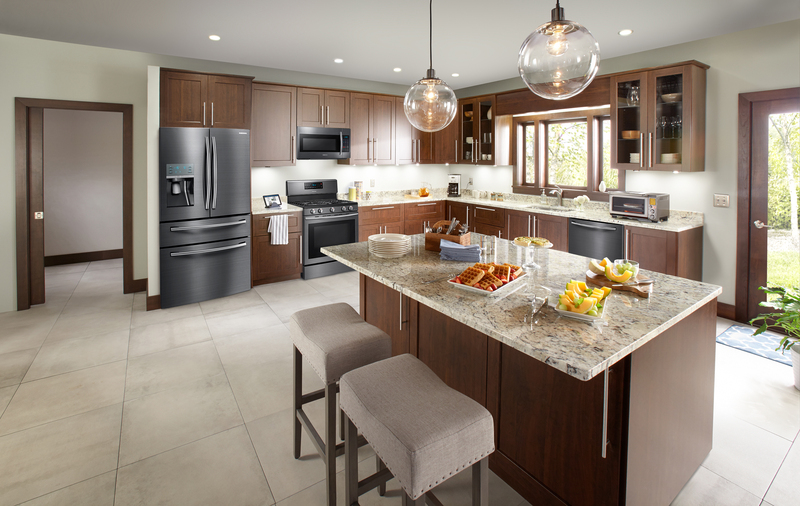 There are up to 30% major appliance top deals, with a minimum savings of 5%! You’ll also get a free $100 gift card when you buy 2 major appliances totaling $1500 or more! Learn more about this offer HERE. If you’re looking to do a big project like a kitchen remodel, you’ll want to take advantage of the Samsung Bundle & Save (Ends 4/4). During this sale you can save an additional 10% on select Samsung 4-piece Kitchen Packages. * Learn more about this HERE. Still undecided on the perfect products to fit your space? Samsung has home appliances that provide the perfect balance of style and efficiency. 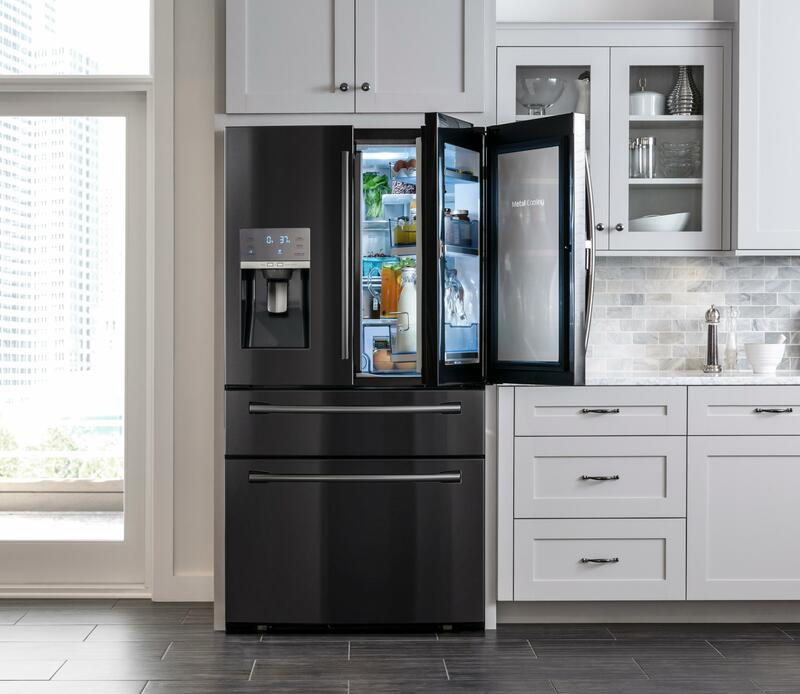 The French Door Refrigerator in black stainless steel offers a showcase door that allows you to find your favorite foods with just a glance! No more rummaging through the fridge to see what you have. Everything is visible and within easy reach. Want to keep your food fresh longer? Not only does the FlexZone drawer on the French Door Refrigerator provide 4 temperature settings and a smart divider to help store groceries at their proper temperatures, the CoolTight door helps prevent cool air from escaping! It’s equipped with a metal cooling technology that maintains a consistent temperature to maintain freshness. Pair your fridge with a Self-Cleaning Freestanding Gas Convection Range in black stainless steel for the ultimate upgrade! This oven goes beyond just enhancing your kitchen’s appearance… it will enhance the quality of the foods you prepare as well! The fan system distributes heat evenly throughout the often so your dishes will cook faster and more evenly every time. What are you waiting for? Remodeling doesn’t have to be scary, and these amazing deals help make now the time to stretch your remodeling dollar to the fullest! Whatever it is that your remodeling dreams entail, Best Buy will make sure that you get the top deals on the top appliances, for much less than top dollar. Love to browse before you shop? Head over to Best Buy and check out the selection for yourself! *Disclaimer – Offer valid: 12/1/16-4/4/17. Products must be purchased on same receipt to receive savings. 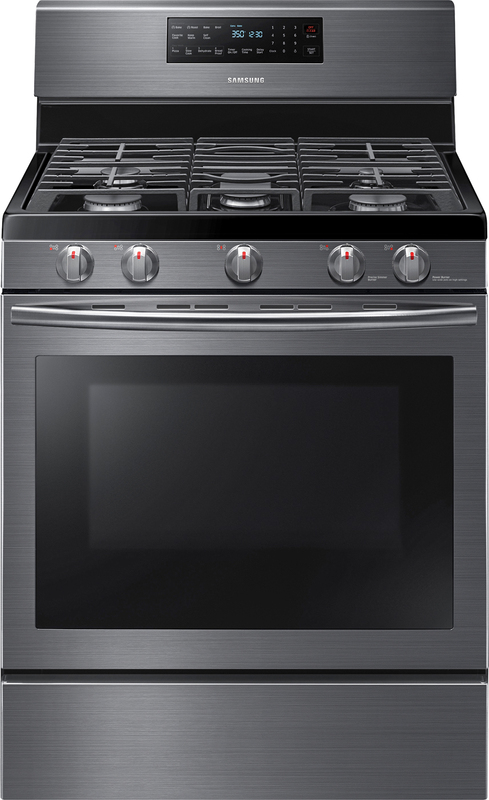 Requires purchase of Samsung major appliances from the following categories: Refrigerators, Ranges, Wall Ovens, Cooktops, Dishwashers, Range Hoods, and Microwaves. Must include models from at least four different categories. Excludes Samsung Chef Collection models.